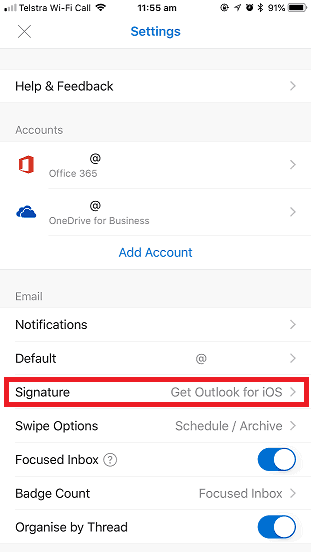 Unfortunately, the Outlook App for iOS does not support HTML email signatures. Please only use this guide if you’re planning to add a text-based email signature. Open the Outlook App on your iPhone/iPad. Tap the menu button from the top left. 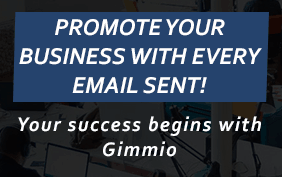 Press and hold over the email signature area, paste your new signature. Thanks for the instructions. I have done this however it only works on a new e-mail. Is there a setting somewhere so that the signature works on replies and fwd e-mails as well? 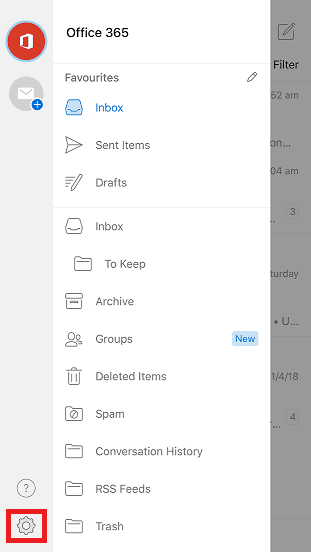 My jpeg or picture will not show up on my signature in the iOS outlook app. 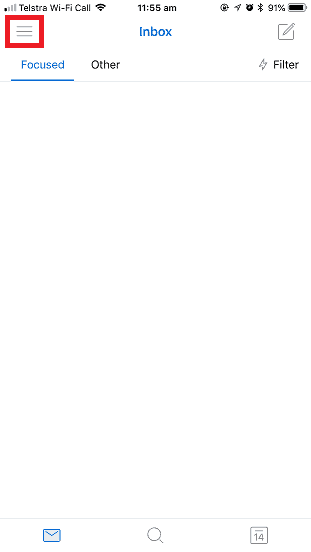 I have copied and paste from my outlook on my pc, but the image will not show. Please advise. 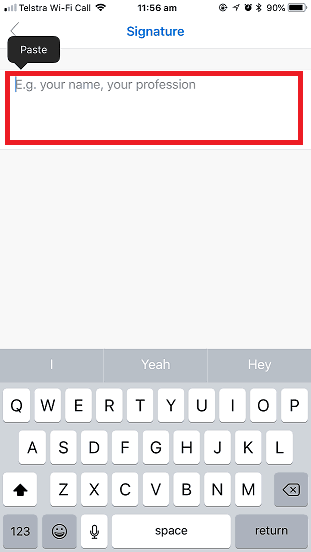 Unfortunately, the Outlook app for both iOS and Android doesn’t support HTML signatures. This means you can only have a plain text email signature (with no images) when you use it.